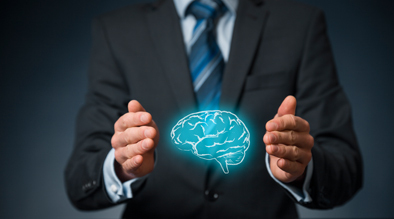 Google’s new tool ‘RankBrain’ Helps Milestone Customers Get More Bang for their SEO Buck. Google has announced that they are using a new “machine learning” technology called RankBrain. As with any big change that Google makes, people are wondering how it will affect the way we view the web, and how others view our websites. Through this blog post we hope to explain in layman’s terms how RankBrain fits into what we already know about Google, what machine learning is, and what all this means for you. First of all, where does RankBrain fit in to Google’s grand scheme? Google’s Algorithm uses hundreds of different “signals” to determine how to answer your search queries. Each of these signals is like a clue, such as the region where a user is located, whether a site is mobile friendly or not, or the schema markup on a page. Addressing these points is important when optimizing your website because these signals essentially form a checklist which determines how your site will rank for a given search query. To find these signals, Google’s engineers have designed tools that help sniff them out and apply them to your search query so that accurate results can be delivered. RankBrain is one such tool, but RankBrain’s signal is a bit different from the rest of these. Rather than being designed to look for a specific type of clue, RankBrain was designed to learn about and interpret conversational language so that it can better access the meaning behind a phrase or sentence, this is the “machine learning” aspect of Rankbrain. So what is “Machine Learning” exactly? A traditional Computer is not very smart; everything the computer does has to be taught to it by a human being. A machine learning computer on the other hand, can teach itself to do things. Machine learning is essentially a type of artificial intelligence, though this is not the level of sophistication that you would see in a typical science fiction plot, so you can lay your robot uprising fears to rest, for now. What’s an example of what RankBrain does? Before RankBrain, if you typed in a long and complicated search query Google would probably pick and choose from keywords and other clues in your query and serve you up the best answer it could. This system worked fairly well, but the way we search is evolving to be more conversational, especially with the rise in mobile technology; just think of any time you’ve asked Siri a question. That’s where RankBrain comes in. RankBrain is able to better understand things like colloquial terms, and conversational dialogue that complicates queries, and it does this by comparing and connecting them to shorter more common queries it has dealt with in the past. In other words, RankBrain is able to make assumptions about what you’re asking for based on what it has learned from past searches. The result of this knowledge is that Google can leverage the answers for the more common query to help improve what it provides for the complicated one. Thanks to this new ability to understand, good SEO practices will be more rewarding than ever because Google will be better able to connect people’s detailed questions to your informational content. The importance of focusing your content on keywords will be greatly diminished by technology that is able to read and understand the content on your page. Keyword stuffing isn’t enough, So it’s important to have content that can answer the different types of questions people ask when they search for your services. Structure the content on your pages with schema tags, which describe to Google what the content on your page is. This will be particularly important as RankBrain tries to understand longer and more specific queries that could potentially be matched to the content you are providing. Make Sure the platform hosting your content is working with, not against you. A good Content management system will not only offer you a dynamic mobile site, and schema tags, but will also address other signals in Google’s Algorithm such as fast download times, and clean code.